Robert Puro is the CEO and Co-founder of Seedstock, LLC. 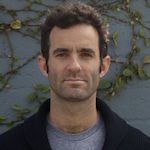 In 2010, he launched seedstock.com, creating a news and informational resource to promote and connect farmers, entrepreneurs, non-profit organizations and researchers involved in fostering the development of sustainable local food and agriculture systems. To further educate and engage future farmers and entrepreneurs and encourage the growth of a sustainable agriculture marketplace, Puro established the Seedstock Sustainable Ag Innovation Conference, which is now in its fifth year. Puro and Seedstock also provide senior consultancy services surrounding urban farming and local food systems to industry and government bodies including the Nevada Governor’s Office of Economic Development and the City of Riverside, CA. Prior to working at Seedstock, Puro ran an independent consulting firm that assisted startup companies across various industry verticals develop business plans and go to market strategies. He also has held positions in business development and marketing at such companies as Yahoo!, Warner Music Group, and Motricity, Inc. Puro is a graduate of Columbia University and the UCLA Anderson School of Management. Jason Reed is the Founder of Seedstock, a company dedicated to fostering innovation and entrepreneurship in sustainable agriculture. He is focused on finding solutions to the challenges facing agriculture and food security and ways to meet global food demand that is forecasted to increase over 70% in the next 40 years, as world population is predicted to reach 10 billion by 2050. Prior to founding Seedstock, Reed worked at Disney for over fifteen years where he rose from a creative associate at Hollywood Pictures to Executive Vice President of Walt Disney Studios Motion Pictures Production. In that position, Mr. Reed was essentially given greenlight authority on a slate of pictures he was to develop with local teams in foreign territories. Mr. Reed was responsible for working closely with each country’s management to develop a comprehensive market strategy for the individual territories. 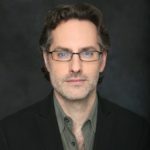 He led a group working with the local teams on all creative and business-related aspects of creating new films including film and talent selection, deal-making and budget considerations.